We are open today as normal! Here at Cestria Dental Practice we are now officially open every Tuesday till 8pm and two Saturday’s a month! Please enquire at reception when booking your appointments for more details! Cestria Dental Practice gathered a team together to do the 10 in 10 in the Lake District and successfully walked 10 peaks in 10 hours, raising £352 for Multiple Sclerosis. A big well done to one of our newest members of staff Manni on completing and successfully passing her dental nursing exams last week! 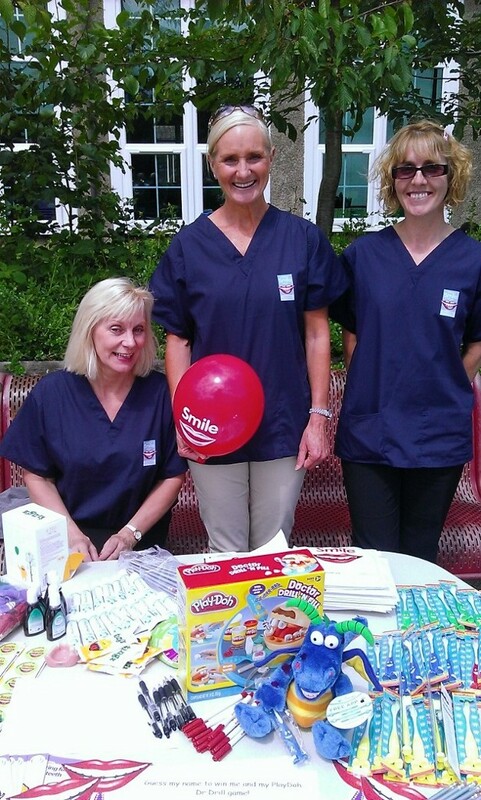 Cestria Dental Practice are committed to promoting dental health in the community. We have taken the opportunity to work in local primary schools and childrens centres promoting dental health with children and their parents and carers. We provide free structured educational sessions with local children giving them a fun environment to learn about their oral health, giving opportunities to win prizes and take away goody bags including toothbrushes and dental care information. Cestria Dental Practice can offer the choice of a home whitening system, or dentist professional whitening with Philips Zoom. Your smile is the way you greet the world. Why not put your best self forward with the confidence of a more beautiful smile? When it comes to whitening, your dentist is your best resource. Only dental professionals have access to the professional-strength whitening of Philips Zoom. Philips Zoom is the top patient-requested professional whitening treatment. In fact, over 10 million patients have already used Zoom to achieve brighter, healthier smiles. Check out the offers page for more details.